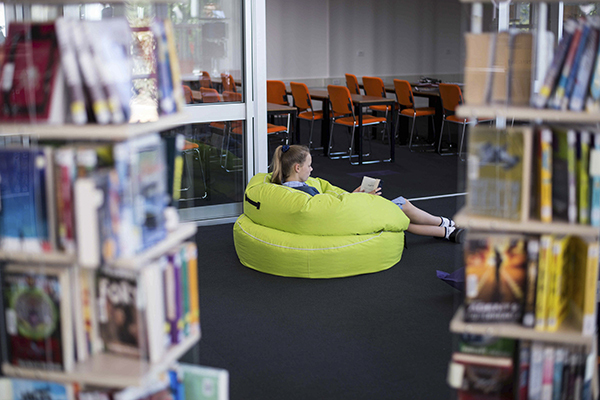 Anakalypsi is a dynamic, resource rich space dedicated to learning, collaborative work, quiet study and reading. A place, which fosters the love of literature, research, technology, artistic endeavour and the development of a disciplined mindset. 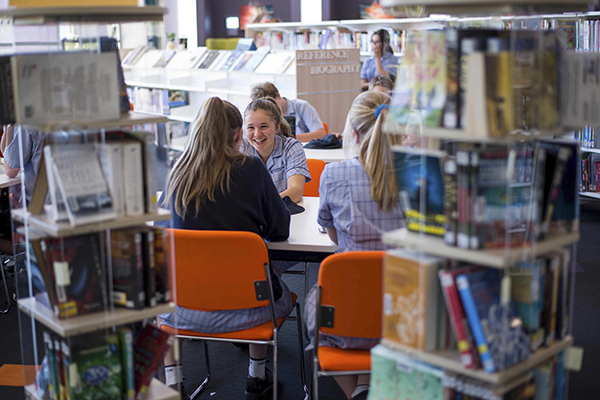 Anakalypsi Library is a central cultural and social point within the College and a space where students come to experience a welcoming, comfortable environment and a sense of belonging to the Cornerstone College community. 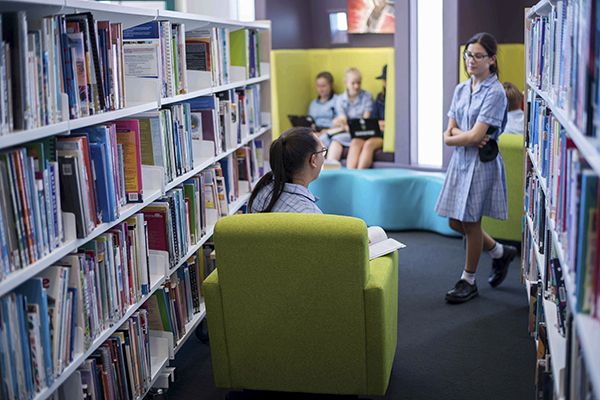 Our students are encouraged to engage with resources 24/7 via the Accessit online library management system which provides links to the latest print and digital resources, as well as reliable databases including Britannica Online, Weblinks, e-library newspaper database and ClickView digital video library online. Anakalypsi Library provides interlinear, bi-lingual books as well as newspapers in German and Mandarin to enrich the learning opportunities of students studying foreign languages. 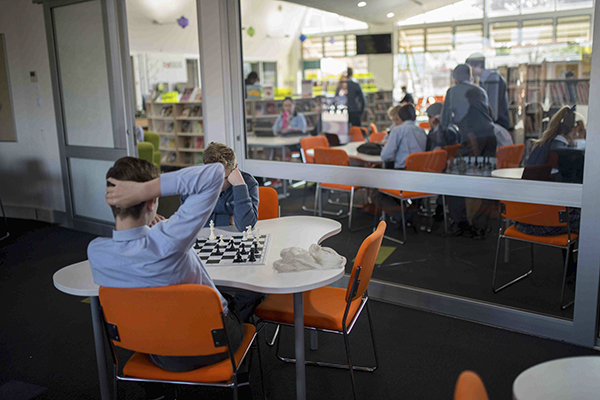 The Library’s landing page offers federated searching enabling information retrieval from many trustworthy sites, as well as other libraries including the Public Libraries Network and the State Library of South Australia. 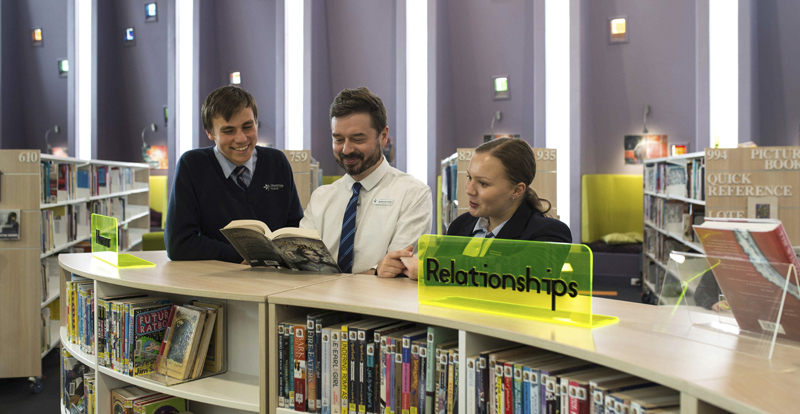 The dedicated Library team are passionate about reading and provide individualised reader guidance, support with research, enquiry based learning and referencing. The College Library is a proud recipient of a Great School Libraries Award in 2016. Anakalypsi Library is a welcoming sanctuary for pursuing personal interests, or friendship building, while also being a progressive, innovative and supportive place dedicated to equipping Cornerstone College students with the passion and skills for life-long learning.